Last week, a bunch of WordPress-lovers met at CoworkLisboa, Lisbon, on the so called 7th WordPress MeetUp. 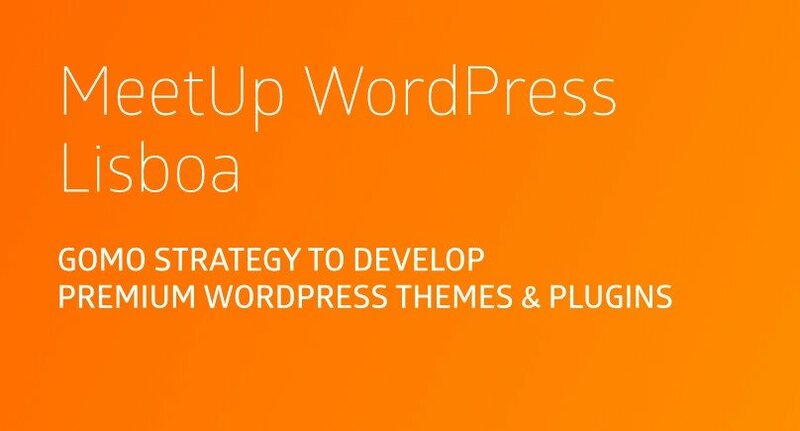 Apart of the feeling that the Lisbon’s community is growing (at least, compared to last Lisbon’s meetup) it was a great pleasure to speak about GOMO’s strategy to develop premium WordPress Themes & Plugins, in few words, how to convert a service business into a products business (keynote). 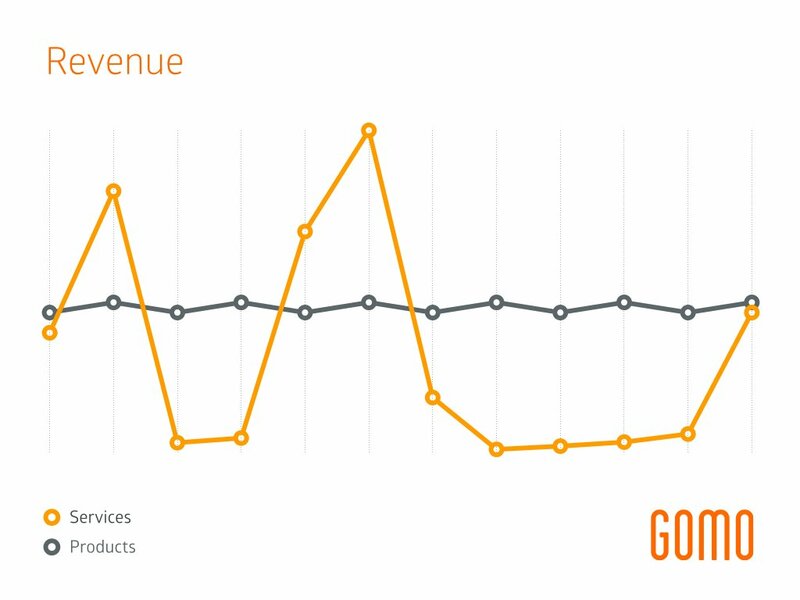 The starting point of my keynote was a graphic showing GOMO‘s monthly income of last year, which looks like a roller coaster! 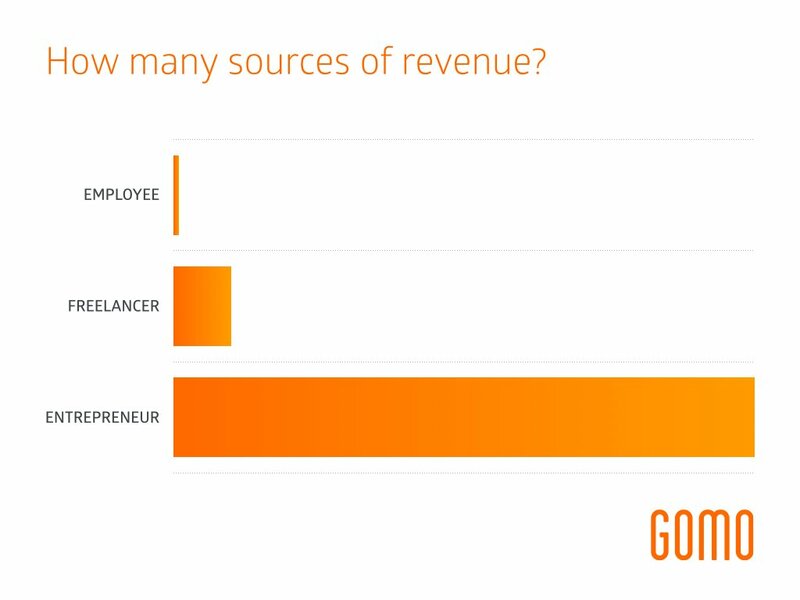 This shows the risk of having a service oriented business, depending on a few sources of revenue. If we lose one customer or we don’t win a project we could get in trouble in a question of months! On the opposite, if we were a products oriented company we might have a very stable revenue graphic, where instead of depending on few customers, we could have thousands of customers, thus reducing the dependence on one customer. In the end, services vs. products it is all a question of risk management (idea inspired on The Low-Risk Entrepreneur from Planscope). For a company like GOMO, service oriented, without empty time-slots to dedicate exclusively on building products it is not easy to change the paradigm. This is why we’ve implemented a productization strategy last year. According to google, productization is The act of modifying something, such as a concept or a tool internal to an organization, to make it suitable as a commercial product. But in day-to-day practice is the act of rethinking the entire project workflow to breakdown a custom service delivery into small deliverables, where some of them will be developed as products, in a way that these could be re-used on other projects or sold individually as products. And here comes WordPress. 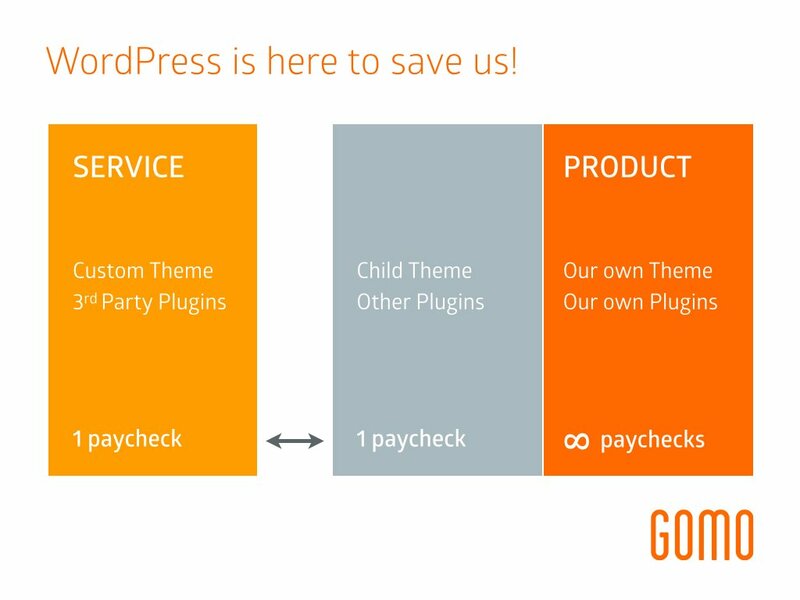 By design, WordPress is itself a product, and empowers developers and designers to build modules to modify its presentation or functionalities. These modules are Themes and Plugins, and could be developed as individual products. And then we could use the child-themes as projects, custom styled to our VIP customers. After having built some great products as parts of bigger customer projects (services), what could we do with them? Everything that we don’t give back will be lost forever. So, get back to your organizations and re-think your entire processes! Start productizing today as it is a powerful strategy to reduce the organization risk, increase your revenue potential and grow your business! are working on your tan in Thailand.